For the first time in Society history, women will hold all three levels of presidential leadership. 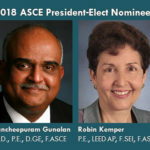 Robin Kemper has been elected ASCE’s 2018 President-Elect by a majority of voting Society members in a month-long election that closed June 1. She will be inducted at the Annual Business Meeting this fall at the ASCE 2017 Convention in New Orleans. When Kemper, P.E., LEED AP, F.SEI, F.ASCE, assumes her duties in October, she will join 2018 President Kristina Swallow and 2018 Past-President Norma Jean Mattei in the all-female Society triumvirate of leadership. Kemper is a senior risk engineering consultant for Zurich Services Corporation in New York, advising owners and engineering, construction, and architectural firms on matters of professional liability, builders risk, risk management, and best operational practices. 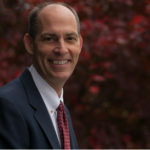 Kemper serves on ASCE’s Raise the Bar Committee and the Committee on Professional Conduct. 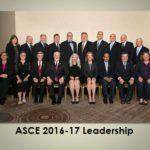 She is ASCE’s liaison with the New Jersey Society of Professional Engineers and served as past ASCE representative with Engineers Without Borders USA. 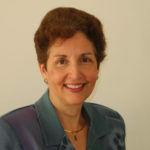 Her many Society leadership roles include terms as a district director and New Jersey Section president. She has also chaired several ASCE committees, including the Member Communities Committee, EWB Task Committee 3, and the Region 1 Formation Team. Membership approved an increase in the size of the Board of Direction to allow the third Technical Region Director a voting seat at the table. 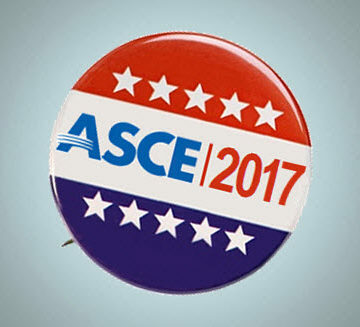 I AM 87 YEARS OLD AND A FELLOW/ LIFE MEMBER OF ASCE. FOR THE PARIS ACCORD,IN THE INTEREST OF ETHICS AND SUSTAINABILITY. OUR YOUNG CIVIL ENGINEERS ARE WELL SCHOOLED IN SCIENCE AND WE SHOULD STAND BEHIND THEM INTERNATIONALLY. It’s time to show Women Engineers can do it too! Congratulations to Ms Kamper ! God Bless! I look forward to hearing her goals for the ASCE, it is very impressive news after 165 years a woman is on aboard.